The centrally situated development is also close to the Hatfield Gautrain station, Hatfield Plaza, academic book shops, gyms, coffee shops, hotels, restaurants, ATM's, banks and the like. 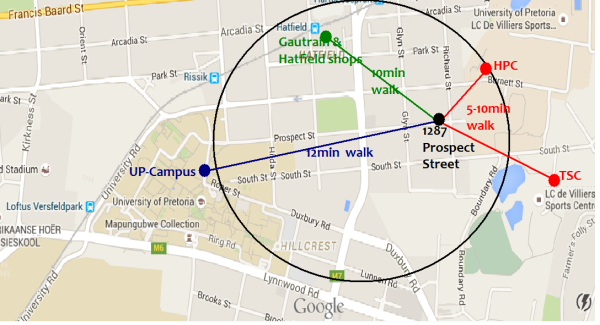 The CAMPUS TERRACE development - is a rare find in an area with a high demand for accommodation and a limited supply. In this regard, upmarket CAMPUS TERRACE satisfies the requirements not only of the astute investor but also the more committed student and the young working graduate person/couple.